Like the look of one of these? In the mood for suspense and mystery? Click the book to check availability or place a reservation. 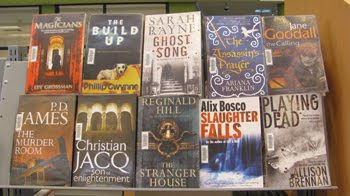 Of all the genred fiction that we provide at Camden Council Library Services, the Mystery genre is probably the most diffuse and varied. From the complicated puzzlers of Agatha Christie, to the crime thrillers of Patricia Cornwell and Lee Child, there’s certainly a lot to choose from. The book reviewed here fits into another sub-type- historical mysteries. This medium sized novel is an enjoyable mystery/thriller set in the Victorian era. The main character is an established doctor in London whose expertise in the heart leads him into the path of entrepreneurs and iconoclasts that defined the progression of the Victorian era. As he becomes more and more entwined with the ‘Lazarus Club’, a group of well known individuals who fear their ideas may be too revolutionary for the general public, our poor protagonist is thrust into a deadly game of cat and mouse as an important object is put into his care. The strengths of this novel lie in good characterisation and a well-paced plot. The main characters are human, with understandable motives and great quirks. There’s also a good balance between chases and intense moments as well as quieter exploration of the finer points of the plot. However, at times the language gets a little bit out of hand (think Arthur Conan Doyle on one too many red cordials) and a romance between Florence Nightingale and the main characters seemed a little ridiculous, which endangered the believability of the work on a whole. But on the whole- fun, complex, and exciting. Lovers of Sherlock Holmes, Nero Wolfe, and other historically based mysteries will certainly like this one! 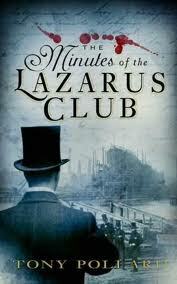 Check availability of The Minutes of the Lazarus Club at Camden Council Library Services. Need a little adrenalin in your day? Click the titles above to view books in our Action and Adventure collection. Thiller- An intense genre mixed between our general fiction and mystery collections. 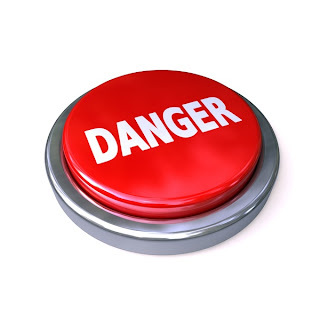 Thrillers aim to get the blood pumping with high-paced action and suspense. It'll definitely keep you guessing! Check out these top 5 thrillers available @ Camden and Narellan libraries. This review comes from one of our library members. Thanks Liam! 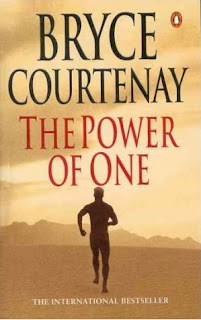 The Power of One by Bryce Courtenay is a touching and inspiring story set in South Africa. The story is engaging and interesting. Many parts of it are quite depressing while other parts are quite uplifting. The story follows the main character, Peekay, from the age of five to seventeen. and is written from his perspective. It seems that an older Peekay is looking back on his life and is writing it down. Peekay is very easy character to like. When he falls into hardship you feel sorry for him. He’s unnaturally gifted at many things, this takes away from the realism but you don’t notice at the time. A recurring theme throughout the novel is racism within the South African community. Nearly every single person that Peekay meets is racially intolerant of varying races of people. Peekay himself is a victim of racism. As a small boy he is victimized for being English. This is interesting because it’s usually the other way round. Peekay himself never discriminates people based on race. Doc, Peekays’s best friend, is the only other person who seems to be unbiased. Bryce Courtenay has done a good job at creating inspirational characters and a memorable storyline. This is a great novel to read. What makes a good bio? A great story, a great pace, great people? What about important events, or the little things in life? Well, this booklist below features biographies that bring something new and vibrant to the story-telling of real people and events. The man who lives with wolves - Shaun Ellis with Penny Junor. Just click the title to go to a catalogue entry and make a reservation for pick-up at your local branch. Books that shocked, books that were adored, books that spoke to many and few. 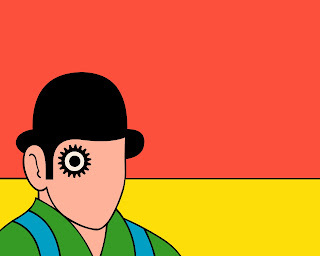 Check out this booklist for cult classics old and new. Click the title to place a reservation at Camden Council Library Services. Want more? Check out our new release 500 Essential Cult Books: The Ultimate Guide. 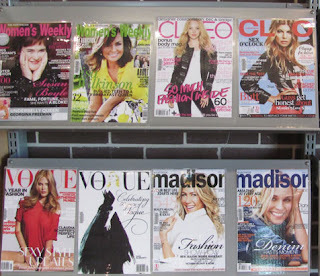 Click a magazine to see our current holdings at Camden and Narellan branches!